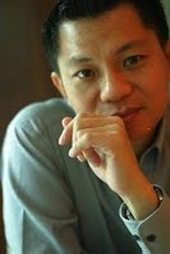 Jerome Tan is the CEO of seven businesses. He has 20 years of experiences in field sales and entrepreneurship. Jerome is highly enterprising and has the ability to churn out tons of valuable and practical business ideas. In particular, he is adept at helping businesses reduce their costs of operations and increase their revenue, often, with very little or no investments. Jerome has the personal experience of starting and building several businesses with nothing down. Her started Executive Directions Pte Ltd with just $52 and the company is, today, a multi-million dollar business. Many people have been inspired by Jerome’s ability to think and act out-of-the-box. During a seminar in December 2003, Jerome went out with no money, name cards, or marketing collaterals, and brought back a $3,000 cheque in two hours, just by speaking to strangers. More importantly, he achieved it by moral, ethical, and legal means! This is just one of the many examples of Jerome’s ability to create money or businesses with little or zero startup capital. Jerome is also the Lead Trainer for the Entrepreneur Action Program. He believes that in this part of the world, we need to evolve in our Spirti of Enterprise. Though he does not have much formal education, it is his mantra to tell people that, “If I can do it, so can you!” He is passionate about personal growth and believes that mentorship provides the shortcut to one’s success journey.